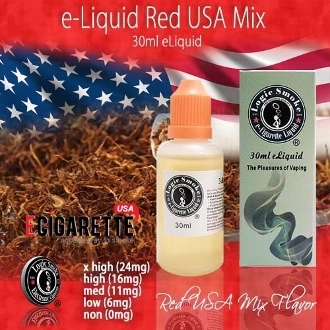 Red USA Mix E-Liquid from Logic Smoke is a popular tobacco flavor modeled after a big name American Cigarette company. It is bold and full of that tobacco flavor you have grown to love over time. Our Logic Smoke Red USA Mix E-liquid is a wonderful alternative for anyone looking to toss their red label pack of cigarettes and still enjoy the rich tobacco flavor.